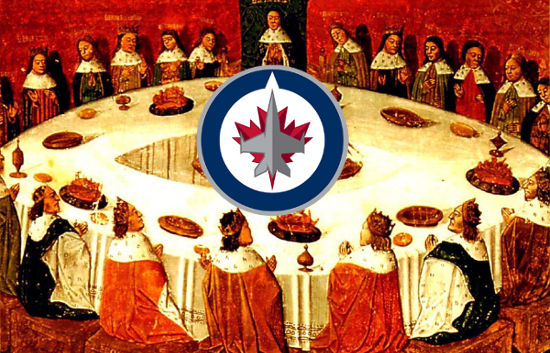 Welcome to the bi-weekly summer edition of the Jets Nation Round Table. The team takes a break from watching every playoff game to discuss a few events surrounding the Jets and the rest of the NHL. So the 2nd overall. Winning this pick obviously changes things for the Jets. Does the player picked make the Jets and where do you think the player picked will end up in the lineup? Garret: Provided the Jets do not go wait out of left field and grab someone beyond the big 3 (Matthews, Laine, and Puljujarvi), I don’t see the player not making the Jets. They will most likely start off as a winger on the second or third line, but end the season firmly in the top six. If they get Matthews, I could see the Jets moving Little to right wing. But, if Laine is taken instead, the Jets will likely split Wheeler and Ehlers (moving Ehlers back to his preferred right wing) and have one of Laine and Connor on the opposite side. Art: I think if the Jets go with any of the “top three” then for sure they make the team. As mentioned by Garret, I don’t see any player that will be drafted in the first round beyond those three making the NHL this coming season which is why winning that second lotto was such a game changer. Mack: Like the others said, the top three seem like a safe bet to play in the NHL next year. It’s going to be interesting to see how the Jets manage all the youth they have on the wings: with Laine/Puljujarvi, Ehlers, Connor, Dano, Petan, and Armia all playing for the Jets, there just aren’t that many vets to surround the young guys with. Still, you have to imagine that Laine/Puljujarvi will be getting top-six minutes with Scheifele or Little at center. If the aforementioned player makes the team, how much of an impact will he have? Will he be good enough to make a major impact or fill a depth role while developing? Garret: I think the impact we saw with Nikolaj Ehlers is a decent standard to have. Ehlers performed like a bona fide top-six winger, except during some minutes anchored with Chris Thorburn, and scored at a 44 point pace. The Jets 2016 top selection will be a year younger than Ehlers was this last season, although will likely carry a similar impact. Art: I think the biggest impact that will be made – even before camp starts – is that the Jets already had a crowded group of bottom six forwards, but now you add a Matthews or Laine to the top six and you push Drew Stafford (who at best was ok as a top six but played more like a bottom six forward) into that traffic jam of 3rd and 4th lines. I wasn’t so sure the Jets were going to do anything major this summer in terms of a trade, but now that they are (more than likely) adding Connor and the 2nd overall pick at the very least, someone be it Stafford, Perreault, Thorburn or maybe even Burmistrov will be dealt. Mack: Agree with Garret. 40ish points if healthy for the full year. Do the Jets look at a guy like Bruce Boudreau, now that he is available? Garret: Will they? No. Should they? Maybe. The Jets’ model their organization with a firm stance with loyalty, to a fault at times. This can be a positive attribute but can hurt as well. Maurice is a pretty good coach, and he was a legitimate upgrade over Noel with a fairly obvious and quantifiable impact on the Jets. That said, Boudreau is one of the most successful coaches in the NHL, and if you want to be the best you need the best. Mack: No. Maurice’s Jets have played very good hockey at 5 on 5, with notable struggles on special teams — both with penalty differential and success rates — and in goal. He has earned at least one more season with this squad. That said, the Jets should be thinking hard about Maurice’s strengths and weaknesses, and considering what options might be out there in the future. What do you think about the Coyotes hiring John Chayka as their GM? Garret: Pretty interesting. John and Meghan Chayka ran Stathletes, who are a well respected hockey analytics company. It will be interesting to see how much impact and control Chayka has over the roster, especially with the team also giving Dave Tippett an expanded role as well. Art: It’s certainly out-of-the-box thinking and I don’t fault a team that’s seen average success at best try something different. It certainly can’t be any worse than when the Dallas Stars took a barely front office experienced Brett Hull, made him a co-GM and then saw him bring in Sean Avery to disastrous results based on the fact Brett played a season or two with him in Detroit. Mack: I’m fascinated to see how it plays out for them. Giving Dave Tippett a larger role is curious, but pairing Chayka with a traditional hockey voice in the front office makes sense. They could have gone a different route and made a Shanahan-esque hire for a President or Vice-President role; instead they decided on a structure more common in the NBA and NFL, with the coach heavily involved in the front office. Patrick Roy and the Avalanche are an example of this structure not working, but I think Tippett is one of the smartest and most underrated coaches in the league — this quote of his is great — and he’s clearly very committed to the Arizona franchise. For the Coyotes, this is a low-risk experiment. Give Chayka a few seasons to try something different: best case scenario, the ‘Yotes hit some acquisitions out of the park and every other team is trying to catch up to them. If it’s a mixed bag, maybe you bring in an experienced hire to co-GM when this team is actually ready to start competing. And if it’s a disaster? Fire him, move on, fuhgeddaboutit. Arizona have one of the deepest prospect pools in the league; the building blocks for the Coyotes are already in place. Just want to say thanks to all of you guys at JETSNATION for the great work that you do. I really appreciate the insight and astute analysis that you bring to the table. Your work does not go unnoticed. Cheers! Your Round Table comments about Boudreau and Maurice caught my attention and made me wonder if any fancy stat analysis was being done on coaches? To my uneducated eye there would appear to be a wealth of possibility there especially given the large sample sizes generated by guys like Maurice, Boudreau, Quenneville, Babcock etc. I would love to see you analytics wizards de-mystify coaching as I suspect there are quantifiable measures that separate a Paul Maurice from a Scotty Bowman. I love me some PoMo but his teams seem to stick around the .500 mark. Why? If you chaps could mine up some some sound insights into the mechanics of his coaching you might just change the fortunes of our beloved Jets. Analyzing coaches is actually pretty tough — really difficult to separate coaching impact from team results. Travis Yost has done some good stuff on this, though. Here’s an article he wrote on Boudreau a while back.